My husband found a Friendly's limited edition ice cream called "Crayola Color Me Vanilla" at the supermarket the other day. Crayola is a stationary maker who produces crayons, chalks and markers. 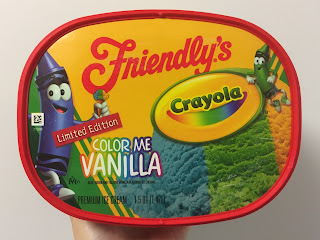 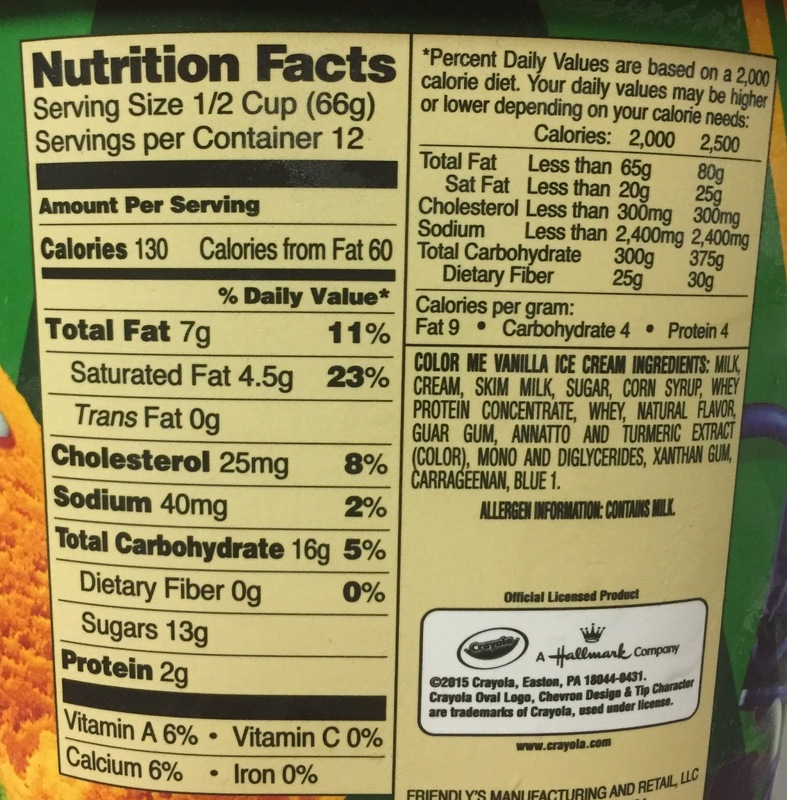 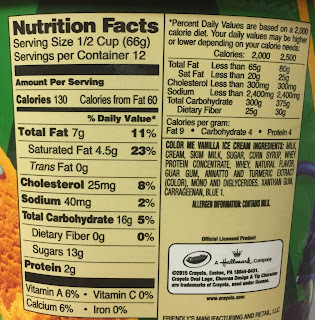 The vanilla flavored ice cream was colored with bright yellow, green and blue as if it's the crayons. 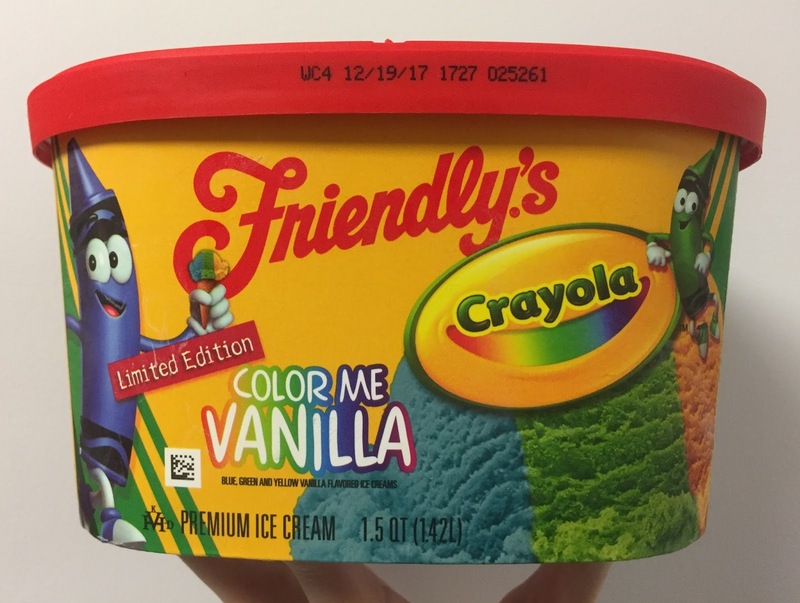 Friendly's ice cream is always not too sweet and very smooth, and so was this flavor. 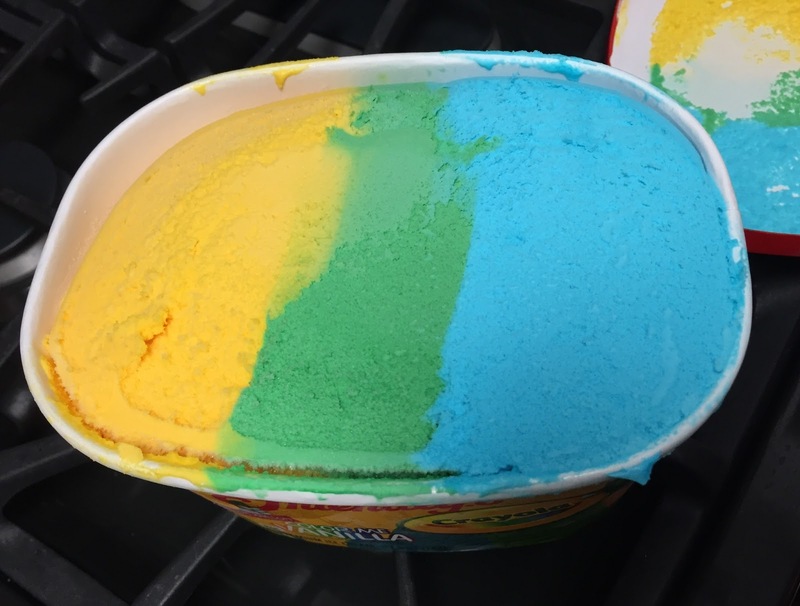 All the colors had the same taste, and it would have been more interesting if each color had been flavored differently.